We congratulate client AliveGen for their new partnership with Biogen. It was great to work on this deal. Bruce Booth of Atlas Ventures wrote in his Life Sci VC column, https://lifescivc.com/2018/07/hotspot-therapeutics-turns-up-the-heat-on-natural-allostery/ about a company focused on allosteric inhibitors. Most drugs work at the same site as the substrate catalytic site and must compete with the substrate but allosteric inhibitors act at a site away from where the substrate binds. Structure-based drug design has enabled a rational approach to allosteric inhibitors. This can take advantage of nature's mechanisms of on/off switches, the use of post-translational modifications such as phosphorylation, acetylation, or methylation which induce conformational changes and changes in activity of the target protein. 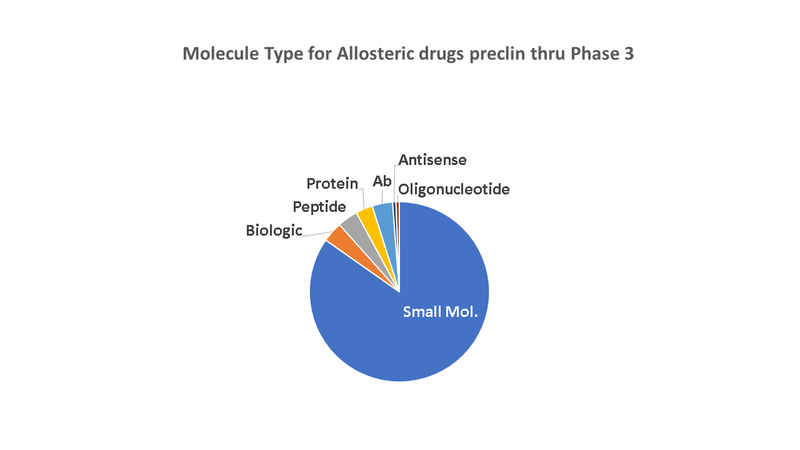 I did an analysis seeking drugs aimed at allosteric site by searching for the word "allosteric" in the drug description or mechanism of action. 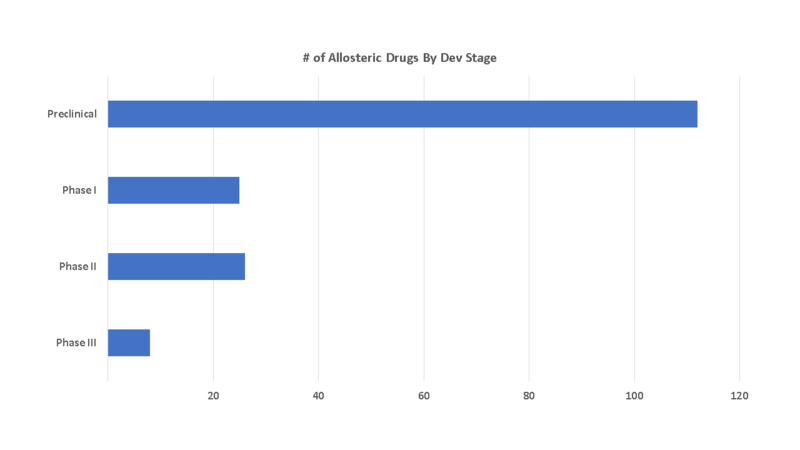 Of the 18,961 compounds in preclinical, Phase 1, 2 and 3, there are 171 drugs described as allosteric. Most are early in development. Not surprisingly, given the tools available in structure-based drug design and the dominance of small molecule drugs in general, the vast majority of the allosteric inhibitors are small molecules, but proteins, antibodies, antisense and peptides are aimed at allosteric sites. 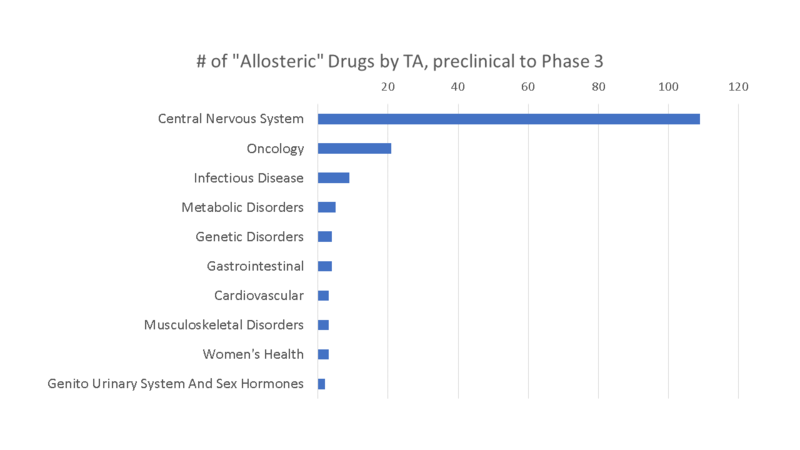 Interestingly, many of the allosteric inhibitors are in CNS, with oncology the 2nd most common TA. 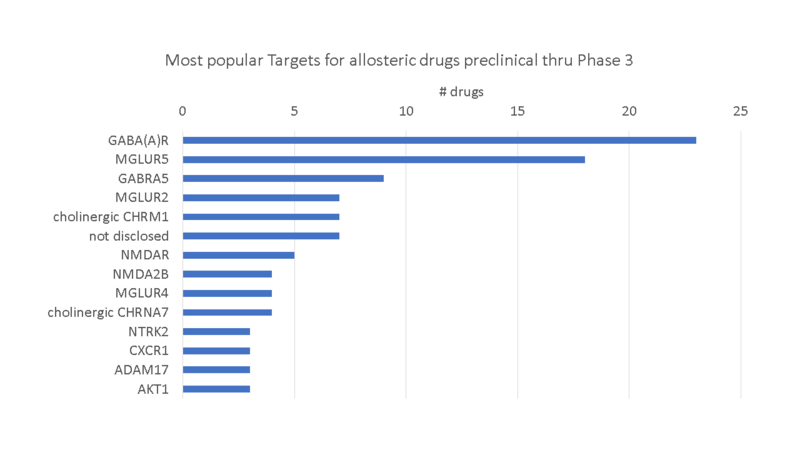 The most popular targets are in CNS as well. Neurotransmitter ion channels such as the GABA receptor, various glutamate receptors and cholinergic receptors dominate the list of targets for allosteric drug candidates. 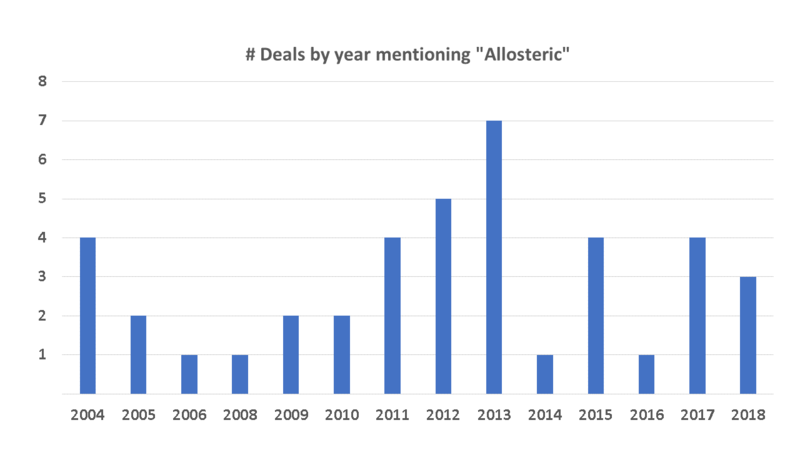 I was surprised that the number of deals mentioning "allosteric" was actually not trending up recently, although 2018 should be above 2017. From the survey, they say the following that demand is higher than supply for renal, respiratory, and hematology, while oncology has an over-supply of assets. But before using that data to pick your priorities for programs, be sure to consider that the total number of partners in the survey seeking assets in oncology is 4 times larger than in renal. I thought the parity of the discount rate for seller's versus buyers was interesting and as pointed out, makes deal making harder, as buyers see the cost of money to do development as no cheaper for them than for the sellers. According to the survey, only 25% of term sheets make it to deals and the number one reason for deal failure is differing opinions on commercial perspective. 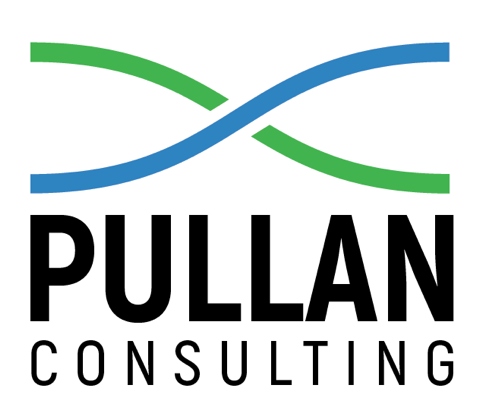 Silicon Valley Bank's mid-year review confirms Trevor's piece from last month's Pullan's Pieces that series A rounds are getting bigger. Platform series A rounds in the first half of 2018 are almost as frequent as in all of 2017. SVB reports that M&A continues to be lower as IPOs enable good exits for VCs. Interestingly, there are 9 Phase 1 bispecifics in immunology (RA, and other autoimmune disorders), 2 in CNS (pain and MS) and 1 in metabolic disease (insulin resistance). The Rhodium Group does a fantastic job with its ongoing efforts to track and analyze the bilateral trade relationship between the US and China. The project is called the US-China FDI Project (FDI = Foreign Direct Investment) and is co-led by the National Committee on U.S.-China Relations. A link to the project’s interactive website is found here: https://rhg.com/research/us-china-fdi-project/ and the full update can be downloaded from the site. 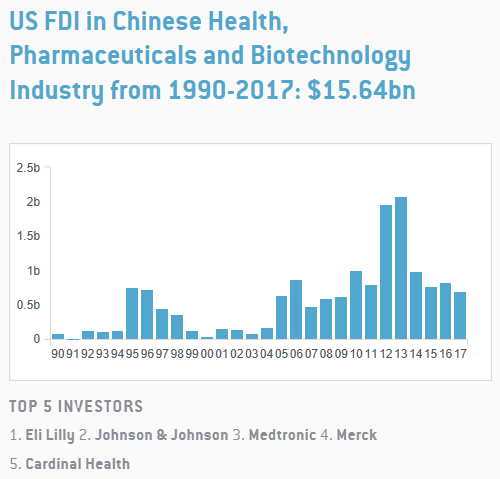 The chart below is a map showing the states and provinces into which FDI flowed most strongly in the Healthcare, Pharmaceutical and Biotechnology sector during the period from 2012-2017. No surprise on the domestic front to see California, Washington and the Northeast leading the way. While the US pioneered the cross-border action, China has been catching up quickly. Indeed, from 2012-2017, Chinese investment in US companies has totaled $5.71B whereas US investment in Chinese companies clocks in at $7.29B. Some notable transactions helped to boost the Chinese 2017 levels, especially the $820M Sanpower acquisition of Dendreon. 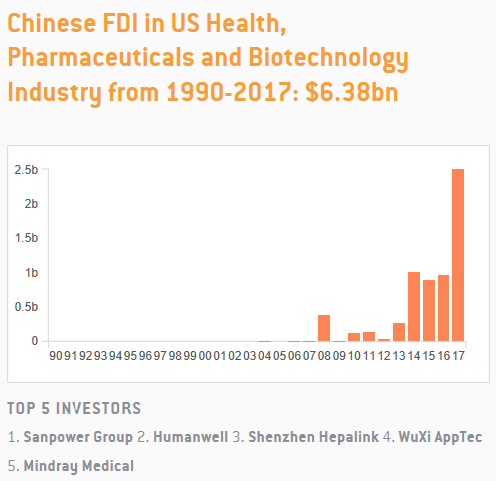 What is not captured in Rhodium Group’s report – but what now falls under the growing purview of the Committee on Foreign Investment in the U.S., or CFIUS – is the flow of venture capital from China into the US. Greater scrutiny of investments and/or licensing deals could crimp the growing cross-border relationship between cash-hungry innovators asset-hungry investors. …strengthen CFIUS’s authority to review foreign entities’ minority-position investments through venture-capital funds and other means, its ability to vet real-estate transactions near sensitive U.S. facilities, and its right to review any deal structured to evade the committee’s jurisdiction, such as transactions that use shell companies to obfuscate ownership. It will also bolster the export-controls process to review overseas transactions such as joint-venture agreements involving sensitive U.S. technology. While our industry has thus far stayed out of the “national security” conversations that highlight the concerns of policy makers, it’s not hard to imagine that the data, technology and assets which compose the substance of our deal-making attracting more watchful eyes.